Who Is Responsible If The Driver That Hit Me On My Bike Was Working At The Time? Depending upon the circumstances, the driver or even the driver's company might be responsible for your bicycle accident injuries and damages. In most cases, it will be the company the driver was working for at the time of the bicycle accident. This is referred to as the doctrine of Respondeat superior, which is a common law doctrine that employers are responsible for employee actions when they happen within the scope of employment. Pyne v. Witmer, 135 Ill.Dec. 557, 561 (1989). For it to be in the scope of employment, "the conduct must be of the kind the employee is employed to perform, must occur within the authorized time and space limits of the employment, and must be done at least in part to serve the employer, rather than be for the employee's personal ends." Bagent v. Blessing Care Corp., 224 Ill.2d 154, 164-65, 308 Ill.Dec. 782, 862 N.E.2e 985, 991-92 (2007). The employer most likely would be liable unless the accident occurred outside the scope of the employment. Whether your case qualifies for respondeat superior liability depends on the facts and circumstances of the accident Reviewing the facts with a qualified Illinois attorney is important. Contact our offices to determine who is responsible for your injuries. 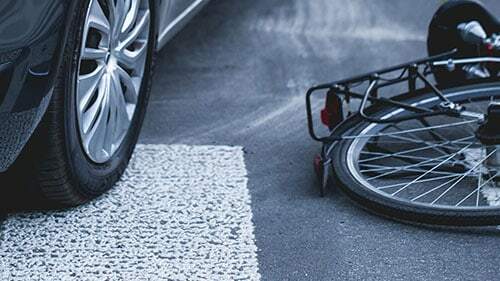 If you're involved in a bicycle accident in Illinois, the motorist or the motorist's employer might be liable for the damages. Who you'll sue will depend on the circumstances of the incident. We can work with you to figure out who the correct defendant is and then bring a case on your behalf. Plus, we can do it on a contingency basis, so bills won't stop you from mounting a competent claim. To learn more about how you can recover in Illinois after a bicycle accident, call our offices today!